A while ago I wrote up a list of 5 great examples of Digital Books and Digital publishing (http://www.nickburcher.com/2008/01/print-goes-digital-digital-publishing.html). Since then more examples have come to light and publishers are finding ever more innovative, digital ways to create and promote their titles. So I thought I was worth publishing a follow up list. Finally the 'Age Of Conversation' (as referenced by Nail Perkin here) has 275 bloggers all writing a small section which will then be weaved together to form a finished product. Publishers have been exploring social networks as mechanics to foster community around certain titles. HarperCollins has launched Lola's Land, a soocial network for young girls based around Think Pink and Beauty*Licious by Lisa Clark. The first HarperCollins social network, Authonomy, was launched in late 2007. Aiming to do what MySpace does for unsigned bands, Authonomy gives aspiring writers the opportunity to upload their manuscripts and connect with readers and publishing professionals. 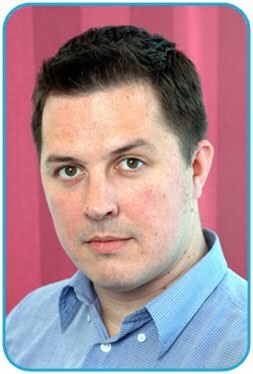 Penguin also have an existing social network called Spinebreakers aimed at teenage book fans. Furthermore, last month Penguin launched its own online drama (a series of 2 minute videos based around Melvin Burgess's book 'Sara's Face'). 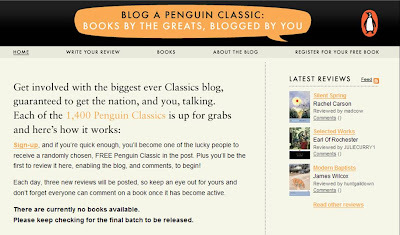 Penguin also run a site called Blogapenguinclassic which aims to create discussion and community around Penguin Classic titles. It was widely reported that Random House launched a branded Second Life island in May 2007. The Random House island allows readers to interact through organised gatherings - from book clubs and writers groups to launch parties. However I have been into Second Life and whilst I can find 'Oprah's book club', I can't find the Random House island. The only reference I have seen is a comment on a blog post that it is on 'Sheep Island' - I will amend this post if I actually locate it! Cellphone novels have really taken off in Japan. Authors use mobile phones to publish and consumers use mobile phones to read them. Containing little of the traditional plotting and character development of a traditional novel, cellphone novels mainly of short sentences characteristic of text messaging. In December 2007 Japanese publishers were shocked to find the year-end best seller tally showed that cellphone novels (republished in book form) have come to dominate the mainstream, with 5 of the top 10 best sellers originally cellphone novels! When cellphone readership is included the sales volume is even higher - definitely a trend to watch! I'm sure things will keep developing and I will write another list if I see anything else of interest in the digital publishing world. Publishing over web, blogs, social media, RSS, pod cast, mobile, etc… are the emerging trends in publishing industry and these mediums made huge difference in circulations. Companies like http://www.pressmart.net helping the print publishers to distribute over the above mediums and helping in revenue generations. I think using these kinds of services would be advantage to the print publishers. Good points. I think it is an interesting time for print publishers. Hollywood and advertisers have seen how clever viral seeding can produce buzz around upcoming releases and I think print publishers are coming to terms with this world too. There are definite benefits to releasing content online first (be it a book publisher releasing the first chapter or the Guardian publishing news online before in print) and social bookmarking services like Digg and Delicious are helping to bring content to a wider audience.